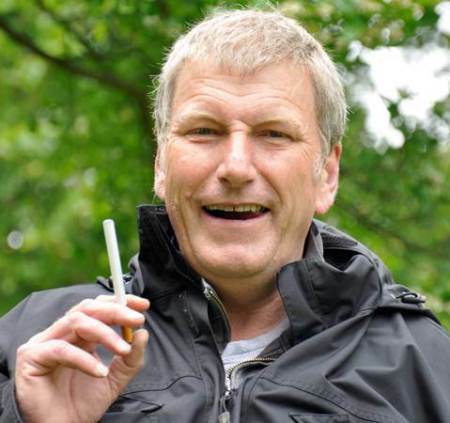 Heavy smoker Pete Balding has finally quit after almost 50 years – and more than one MILLION cigarettes. Addict Pete, 61, has puffed up to 100 fags per day since he was a schoolboy aged just 11. For most of his life, he went through a full packet of 20 before 10am and another two packets during his working day. He would then smoke up to 40 after work and at his local pub near Bridgwater, Somerset. Over the years, his ”love affair” with nicotine cost him over £300,000 – and several girlfriends. But against the odds Pete, who has tried unsuccessfully to quit since the age of 18, has finally stubbed out his final cigarette. It is the first time that he has spent a single day without them ”for company” since 1961. He now uses tar-free electronic cigarettes to control the cravings and ”ease the cold turkey pain”. ”Smoking was one of those things that came naturally to me,” he said. ”I loved the taste of cigarettes since I tried my first aged 11, and became addicted by the age of 13. ”I smoked so much that it became engrained in my daily life, and in my personality – I was known as ‘Smoking Pete’ by most of my friends. Pete was introduced to cigarettes by his older brother when he was at school. But his habit developed into a full-blown addiction when he started work aged 16. Since then, he has never gone a waking hour without lighting up. He would typically smoke between 60 and 100 cigarettes a day. If he had never smoked he would have saved at least £300,000 based on the cost of cigarettes today. The addiction also led to the break-up of six relationships because his girlfriends hated his ”yellow fingers and stained teeth”. Married Pete said he quit the weed to save money and get fit. He now uses Nicolites electronic cigarettes, which contain nicotine – and ‘smoke’ like real fags – but contain no harmful tar or toxins. ”It wasn’t an easy process, but I’m over the moon that I can now call myself a non-smoker,” he said.